“Paint the dog before the fleas” is something that painting teacher Elio Camacho told me over and over again when I started painting details in a scene before I had the big shapes blocked in. After messing up a painting yesterday by getting lost in the tiny details too soon, I really tried to focus on big shapes and color today. Sounds good, doesn’t it! It gives me hope. I’d occasionally felt that intuition, clarity and happiness with watercolor and I look forward to finding it with oils too. At least I’m more frequently understanding where I’ve gone wrong. Click “continue reading” below to see the steps I took for this study today. (If the link isn’t visible below, just click on the image above and you can see the steps on Flickr. Lines redrawn with paint and starting to paint. I spaced out and painted the seed in the bottom half of the avocado and had to scrape it off and paint the hole there and put the seed in the top half. 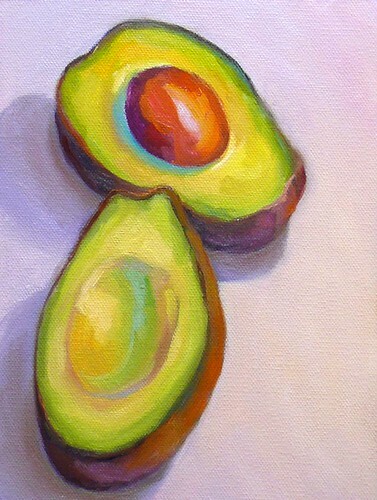 What a luscious little oil study, Jana! Fabulous use of colour once again! Great quote by Lozoya – hope it’s true! About the fleas: I used to have that same issue when I was in school, and had a professor who would say the same thing. Every time I find myself falling back into that habit I hear his voice. It’s good to know I’m not the only one who forgets. I love this painting. It reminds me of Thiebauld – that cyan is perfect and unexpected. Wow. My eye roved over the yummy colours. Could almost taste the creamy flesh. 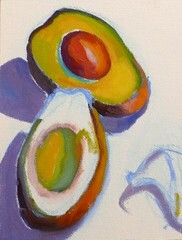 Looks like the avocado painted from the inside out instead of a rendering of surface. 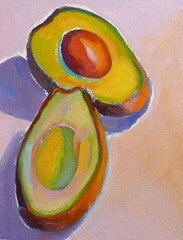 Beautiful avacado, Jana, and I love the paint-the-dog-before-the-fleas quote. I always have to remind myself – in writing and in art – to do exactly that. I love your work, your use of color….I have found what you are talking about in watercolor as well…I find that with acrylics, while I love the color and flexibility of the medium, I am not as spontaneous nor is the work, the end product…so my first love is watercolor, as always…I read you were in petaluma for a workshop and thought “what a small world”! I live in petaluma, well, in the sonoma mountains, the location of vulture peak!! 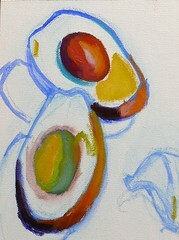 you will have to come and paint if you are in my locale. Not only do I stop here for inspiration and to admire such fine art work…….but I also take away with me valuable advice….yes, definitely, the fleas before the dog! This was such a helpful post to read when I was struggling with a watercolour recently, Jana – hope you don’t mind that I linked to it. 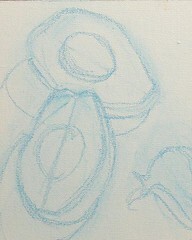 That is a phrase that even I can easily remember in future when starting a new painting! 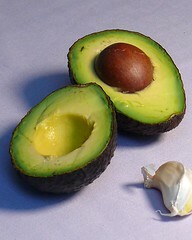 I love your luscious avocados – avo season here has just begun. I adore this. The colours are perfect. Jana, thank you so much for the kind comments you left on my blog. I feel really humbled. I’m not particularly articulate. I can never say how I feel with words so often I just say ‘this is great’ ‘brilliant’ etc. But, you are such an inspiration to me, which is why recieving your comments means more than you know. Cheers.